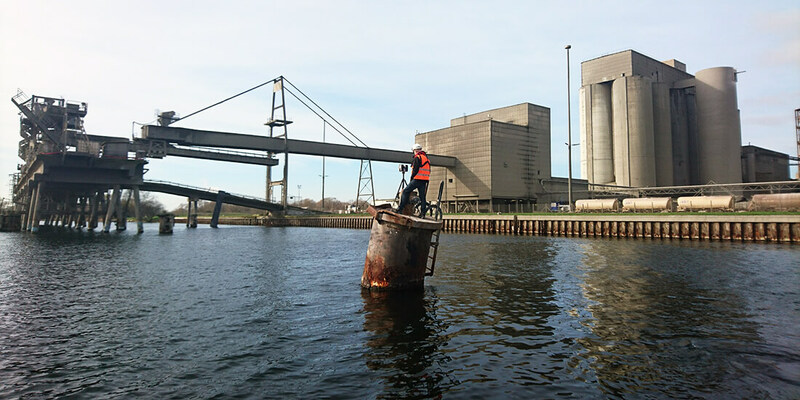 The fearless ATFF team rises to the challenges of surveying some of Europe’s most dangerous sites. Courtesy ATFF. If you swallow the red pill like Neo in The Matrix, the world becomes a green, shimmering network of plotted point clouds. In the film’s constructed reality, the Matrix is a way to see through the mundane with transcendent vision. 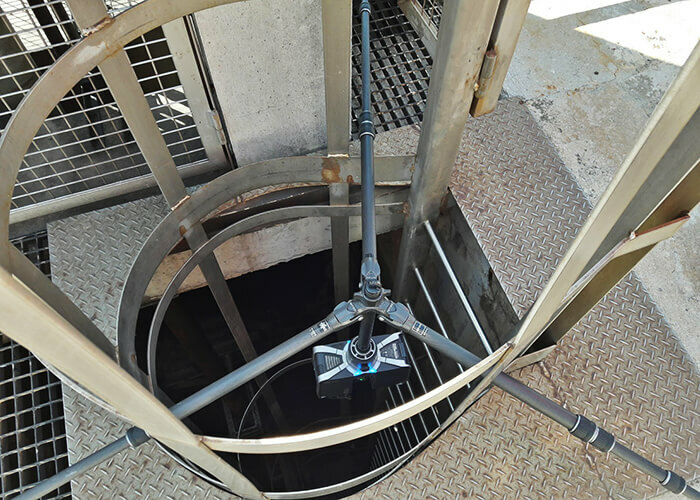 But for ATFF—a French reality-capture firm that delivers the smallest details from some of Europe’s most challenging locales—point clouds take the company to extreme and perilous environments, such as nuclear sites, autonomous industrial utilities, and military installations. Founded in 2014 and based in Annecy, France, ATFF specializes in reality capture, including the platforms, software, and hardware that gather and organize layers of data representing the natural and built world. It’s a step toward perfect fidelity between the physical world and the data used to represent it—many dimensions more accurate than antiquated conventional surveying. Scanning a sewer at a nuclear plant, where every second on-site counted against potentially harmful radiation exposure. Courtesy ATFF. In fact, ATFF’s cofounder Florian Fauconnet says he sees the world as a point cloud. His preferred platform comprises millions of points fixed in space that can be translated into detailed 3D models of objects and landscapes. 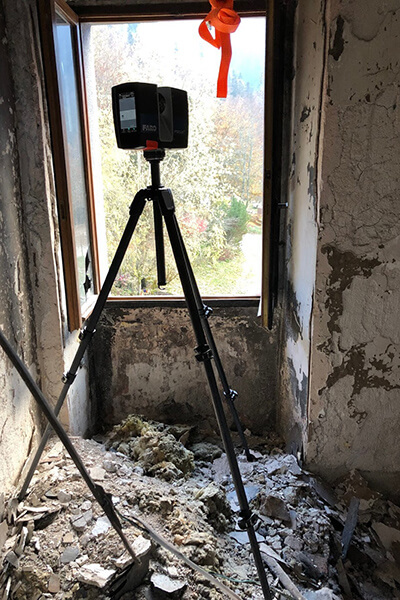 A typical scan can produce between 40 and 150 million data points, which ATFF converts into point clouds for 3D models with Autodesk ReCap reality-capture software. These models can then be fed into BIM (Building Information Modeling) platforms such as Autodesk Revit. ATFF uses stationary laser scanners indoors, drones for exteriors, and mobile mapping (a scanner attached to a car or backpack) to fill in the gaps. “Basically, mobile mapping can be used with cars, with a system that is behind the car that lets you collect all the data from the road or city infrastructure,” says Thomas Roland, ATFF’s marketing chief. This kind of mobility saves time, reducing reliance on multiple stationary scanners. Get started in reality capture. This point-cloud method is enabled by multiple hardware types, allowing ATFF to generate exhaustive reality-capture data. The ATFF team can then isolate and manipulate individual elements within the point cloud. Previous surveying techniques could only gather exactly what clients believed that they needed at the time, such as the distance between two retaining walls, without any contextual data. But with a richer array of point-cloud models, nearly all spatial data on a site is gathered in one place and shared (often via the web) with all stakeholders; it can then be tailored to fit client needs, which may change over time. A surveyor working in the Centre Hospitalier Aiguilles-Queyras, the highest-elevation hospital in France. Courtesy ATFF. For Fauconnet, reality capture is an adventure, and he gains specific satisfaction from charting the contours of tenuous environments. As Roland says, the team is drawn to this kind of hyper-specialized work because it’s like a “five-footed sheep” (a French analog to a “unicorn”—a rare and magical creature). And it’s the latest reality-capture technology, like aerial drones and portable laser scanners, that enables this sense of daring and adventure. 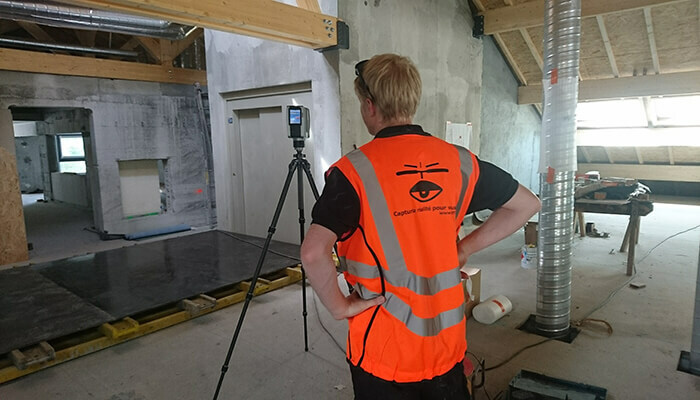 The team can do the scanning work much quicker than using conventional means, allowing rapid access to (and most importantly, departure from) dangerous sites. For example, for a nuclear plant site scan, Fauconnet and his team could stay on-site for a very limited time before reaching unacceptable radiation exposure. “Conventional surveying the of site would have taken too much time,” Roland says. “Now with reality capture, it takes a lot less.” The ATFF team still had to undergo a rigorous certification process, including training and an examination, before they were allowed on-site. Once they got there, the clock was ticking, counting down to the moment they had to hand the baton to other ATFF team members. 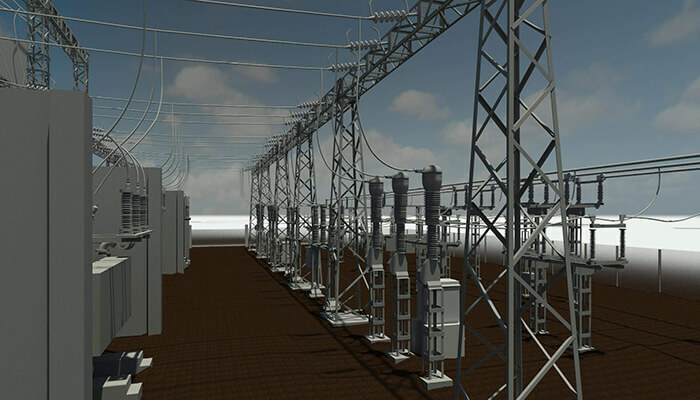 A 3D model of the French transformer site. Courtesy ATFF. When ATFF was commissioned to update a Revit model to prepare for the renovation of a hospital in France, time was also of the essence. The Centre Hospitalier Aiguilles-Queyras, located in the Alps near the Italian border, is the highest-elevation hospital in France, sporting a complex roofline that’s tricky to map—with subfreezing temperatures (5 degrees Fahrenheit) in midwinter when the team arrived. In this case, the difficulty wasn’t so much about the hardware, but the people using it. “It’s hard for the person staying outside a long time to set up the drone and do it accurately,” Roland says. “It’s hard to do good work when it’s freezing outside.” Aerial drones helped ATFF staff cover lots of ground before their fingers got too cold to maneuver the control sticks. The hospital interior was a challenging environment to map due to its constant activity, 24 hours a day. When people move through a space while it is being scanned, they create distortions in the data, so ATFF performed scans during mealtimes, at night, or on weekends, in order to remove as much “clutter” as possible. It took eight days to scan the 215,000-square-foot hospital, requiring 952 photos and 1,200 scans assembled into models using ReCap. “Where nobody wants to go”: Scanning a burned building. Courtesy ATFF. In contrast, a recent project at a French electricity transformer site—largely unstaffed and autonomous—was easier for the team in terms of stray foot traffic. However, the deadly voltage humming through the transmission lines (which feed power to nearly 90,000 homes) made the site one of ATFF’s most treacherous sites. Hired to scan the facility in advance of updated construction standards, the ATFF team had to wear special safety suits and communicate closely with off-site staff to notify them of their exact movements. Because aerial drones weren’t allowed to overfly in urban areas such as the nearby city served by the site, all scanning was completed with stationary hardware. “It’s the main part of our business to go places where nobody wants to go,” Roland says. And with the upsurge of reality-capture platforms and techniques, it’s also the ATFF team’s job to take the rest of the world with it—from a safe distance.